A Bishop in Enugu, has been arrested for defrauding members of the public of over N500 million. According to Amaraizu, the Bishop Ginika Obi, who heads the City of Liberation and Comfort Ministry in Enugu, had been trailed by police operatives for three months. “Bishop Ginika Obi in-charge of City of Liberation and Comfort Ministry is now helping police operatives of the Commissioner of Police Enugu Monitoring Unit following his arrest over the weekend in a Hotel in Enugu where he has been taking refuge. “Before now, the suspect who hailed from Umuaku in Uli community of Ihiala Local Government Area in Anambra was also in-charge of an alleged financial Non-Governmental Organisation (NGO) known as `Build Your Generational Organisation’ where his victims are made to invest with a hope of reaping a bumper financial dividend. “It was gathered that his victims are numerous and with various degrees of complaints of huge amount of money swindled from them without anything to show for it. “The suspect on noticing that police are on his trail based on complaints of alleged swindling of some suspected members of the public to the tune of N500 million with his wife and some of his eight alleged pastors, disappeared for months. “The bishop, however, left his wife in Enugu Prisons custody over the matter. “During his disappearance from Enugu, preliminary investigations revealed that he escaped and relocated to Asaba in Delta to avoid being nabbed by police operatives for months. 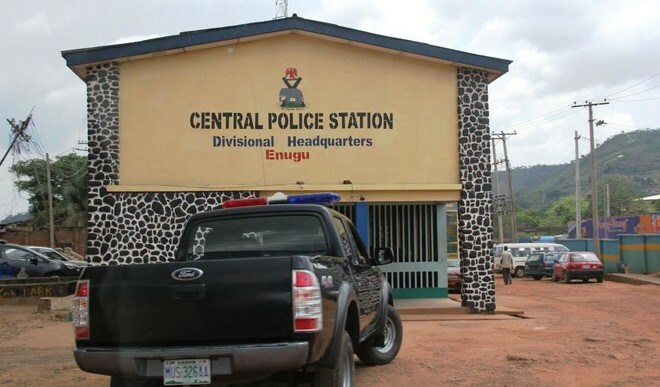 “It was further gathered that luck ran out of the suspect over the weekend as he was trailed based on intelligence information to a hotel at Amechi Road off Agbani Road in Enugu where police operatives acting on a tip-off nabbed him,’’ he said. “The suspect (bishop) disclosed that the amount he defrauded was not up to the sum of N500 million but N186 million, while regretting his action,’’ the police spokesman said. Blessing Edekin, a widow; Nnenna Okonkwo, and Chidiebere Okolo , some of the Bishop’s victims told the News Agency of Nigeria that the bishop had defrauded them of quite a huge amount of money.